Attention Parsons Students! 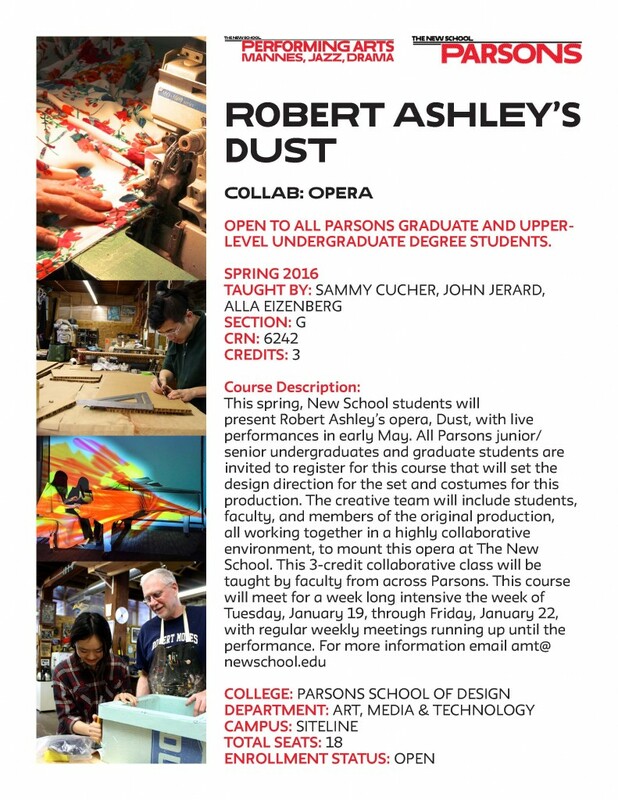 Check out this special opportunity for students to collaborate with Mannes School of Music in the Spring in a 3 credit collab class. See the description below for this Spring’s collab, and take a look at work produced in our past collabs: Spring 2013, Spring 2014.